Welcome to Richard Dolan Members. 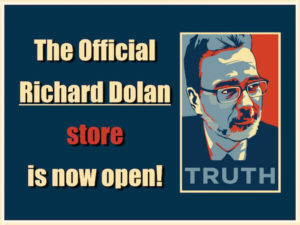 Home of exclusive content from author, historian, and radio host Richard Dolan. 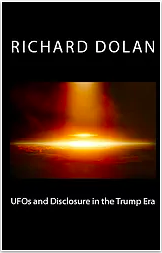 Richard has dedicated the last two decades to uncovering the truth about UFOs and, more recently, the dark covert operations known as false flags. Special members-only articles, audio, and video presentations. Exclusive access to Hour Two of the Richard Dolan Show. Richard’s “Weekly Wrap” video podcast. “Answer Forum” videos in which Richard answers specific questions from you. Live streaming interactive AMA video chats with Richard and his wife Tracey. 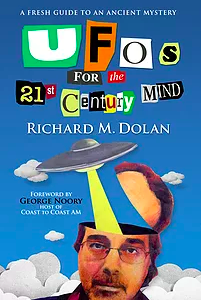 Automatic subscription to the Richard Dolan weekly newsletter. 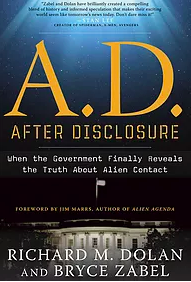 Insider news and updates on UFOs, false flags, geopolitics, personal philosophy, and other subjects of interest. 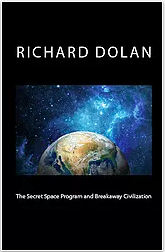 Visit Richard Dolan Press to learn about Richard’s books, as well as many other fascinating authors. I have been researching UFOs for over 25 years. I cannot imagine any other subject that could have been more instrumental in changing how I view the world, or myself. 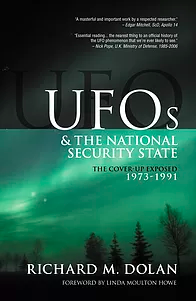 Upon reading countless declassified military documents that describe unknown and mysterious objects demonstrating extraordinary capabilities, to say nothing of the serious concern by the officials themselves, it became obvious that UFOs matter a great deal to the world’s national security elite. Trying to get to the bottom of this issue has led to an endless series of questions. How can such a thing be denied for so long? Where have our journalists been? Our scholars? Our elected officials? It has become evident that UFOs have been subject to a coverup of incredible dimensions. Something far beyond anything I would have considered possible all those years ago when I first began studying the matter. Beyond that are the more fundamental questions. What is the science behind these objects? Who or what is the intelligence (or intelligences) responsible? Are they aliens or something else? What do they want? Is this a good thing, or something we should be concerned about? 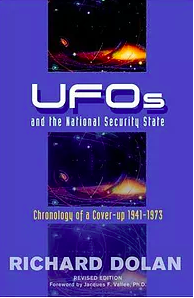 Welcome to the fascinating and sometimes maddening world of UFOs. You could spend a lifetime studying it and I doubt you would get every answer you seek. Even so, I can vouch that the journey is well worth your time and effort. In addition to UFOs, I study geopolitics. One of my interests concerns false flags. These are actions taken (usually) by governments or intelligence agencies that are horrific and traumatic, and then blamed on someone else. The purpose is generally to justify actions and policies that would not otherwise easily be justified. False flags are a tricky subject to study; in my opinion harder than UFOs. That is because when they are done well, proof can be very difficult if not impossible to come by. Nevertheless, some false flags have been proven, while other events surely seem very suspicious. I believe that we live in an era of false flags, and I have developed some theories as to why this is so. Currently, I am working on a modern history of false flags in which this will be discussed in greater detail. I have created this website as a way to share my latest research with others, as well as to gain insights from those who wish to share. This site contains an ever-growing amount of content in the form of articles, audio, and video which explore these and related issues. For me, and hopefully for you, it’s all about challenging ourselves and stripping away the illusions that surround us every day. In that sense, I am an idealist. I believe in the truth, no matter what it is. No matter where it leads.